When was the last time you went to a restaurant that had great food, but you promised that you would never go back because of the noise? Yesterday? Last week? Now – and you’re reading this because it’s too loud to talk to your friend? TQR is in its infancy, but it will grow to be a brand, not a button. In the end, it will be like Yelp or Trip Advisor, but for quiet. There will be articles and reviews and products that will bring more quiet into your life. Ommm. It turns out that I am not alone in my quest for quiet. For instance, in a recent poll, the greatest number of complaints from diners was about noise. The 2014 Zagat Boston Restaurants Survey found restaurant noise level to be the number-one irritant about dining out, more irksome than service and price. 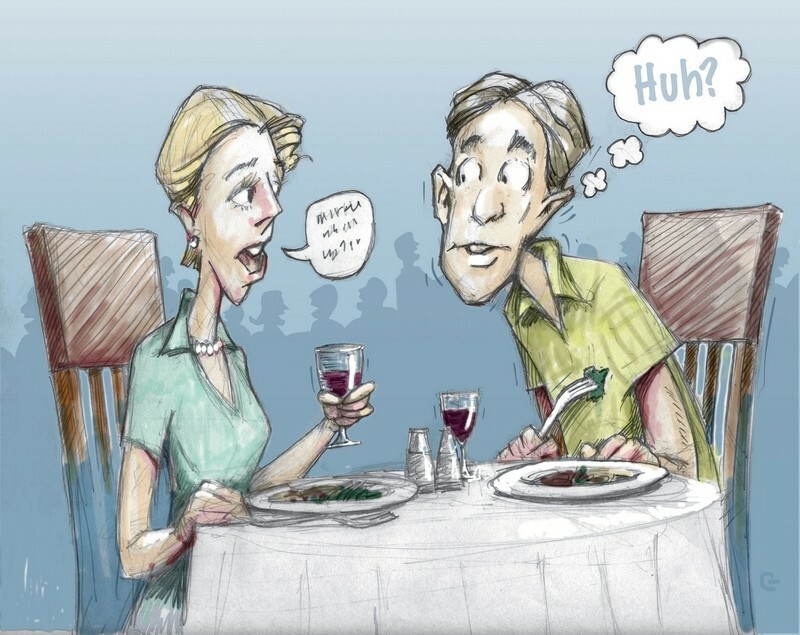 Over 70 percent of those surveyed avoid restaurants that are too loud. And yes, this is pretty standard across the country. I liked this story. In Charleston, South Carolina, an enterprising journalist wanted to determine just how loud “loud” was. He brought out a decibel meter (you can download a decibel meter for free) to give a scientific credibility to the experiment. Charleston restaurants were not surprised or pleased with the results. Now I’ve been to a few of those restaurants. I thought Husk had the best food I’d ever eaten. Would I go there again? Nope. Because I couldn’t hear the waiter – or my husband. But golly the shrimp and grits dish was amazing. 1 Heaven on Earth. A real find.